Driving cool, old cars on a daily basis can bring you a free Camaro, new friends and long conversations at the gas pump. At least once a week someone will ask me about my 1979 Pontiac Trans Am or offer me details on a classic car they sold a long time ago. It goes with the territory when you drive a loud, 4-speed T/A every day. Any car 25+ years old, and built before Ronald Reagan exited the White House, looks out of place and draws an inordinate amount of attention in the current sea of modern, roundy, econo cars. I was minding my own business pumping gas, when a young guy, about 18-years-old, approaches me. I say thanks. Gear head talk ensues. The young man mentions that he has a project/parts car 1979 Camaro Z28 in his garage and I can have it for free. All I have to do is haul it off because his dad needs the space. "Let's go see it," I say in my not-so-subtle, I'm getting a free Camaro voice. Really? A FREE Camaro, how bad could it be? I had my mind made up that I was getting the Camaro even before I saw it. How bad could it be? Is there a dead body in the trunk? Does it have animals living in it? Is it riddled with bullet holes? Do I even know this guy and should you follow strangers home who offer you free cars? My head was swimming with possibilities during the short drive to the Camaro guy's house. I ruled out dead body first. I could tell the Camaro had been part of a Frankenstein hack job as soon as I stepped inside the small garage. The car had no trunk. Half of the quarter-panels were gone. 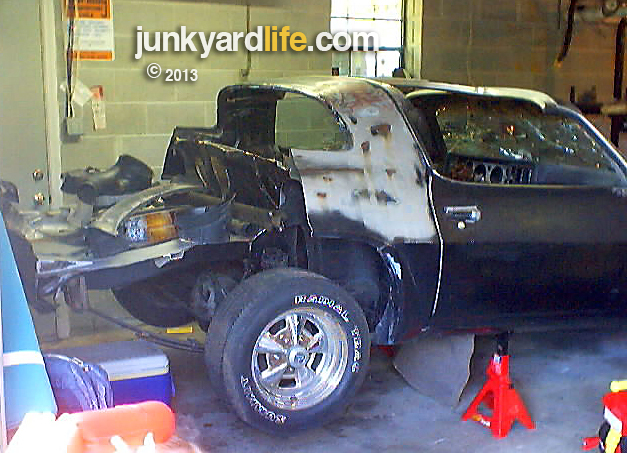 The shell of the Z28 had been cut up in an attempt to build a couch seat for a man cave. 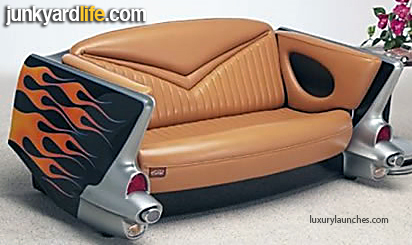 The couch project was a big fail and the remaining parts of the rust-free F-body would make a Ford Mustang fan smile at the site of Chevy stupidity. The cutting torch carnage included pristine floor pans that were butchered for the sake of a rusty, non-Z28 Camaro. More parts were missing than remained. No engine or trans. No t-tops or interior and the Camaro had a busted windshield and no rear glass. How could I say no to free Camaro Z28? The hood, fenders, front bumper/grill, dash and gauge package were all there. It was like free money, right? I kept telling myself that this free car was still a good deal. "When can I bring a trailer?" Do not try to build a couch seat from your project car, unless you really know what your doing. You could see the pained look on her face from the road as the trailer carrying wobbly sheet metal, formerly known as a Camaro, turned onto our street. My lovely, gas station find – the free 1979 Camaro Z28 – was not what my wife wanted in her yard. Maybe it was the Camaro's missing body panels or was it the seven other vehicles in our driveway? "That thing is not staying here," said my wife. "Uh, you do know it is a Z28 Camaro, right?" I said. "And it was free." I tried explaining that I was just planning to sell the parts and not try to fix it up. Somehow, she didn’t fall for my early morning sales pitch despite my convincing argument. "It's the car or me," she said wiping back tears. My wife, usually not one to get upset over junk cars in the yard, had reached her breaking point on the "free" Camaro. I thought she was kidding. Thirty minutes later she was gone. I had hauled the Camaro home before 8 a.m. on a Sunday morning to avoid attracting the attention of the law and because I didn't want to cause a traffic accident when body parts from the Frankenstein Z28 started falling to the ground. I had no idea that my wife would jump ship at the sight of the Camaro so early in the day. After my wife hit the road, I went ahead and unloaded the car inside the garage. Tiny bits of broken glass poured from every crevice of the Camaro. I did a quick and dirty cleanup of the car and most of the glass, then took inventory of all the valuable parts on the Camaro. I figured I had $1,000 to $1,500 in parts. The 1979 Camaro had a complete front end, including (2) Z28 fenders, Z28 hood, grill/bumper cover, front subframe/suspension, front and rear sway bars, steering box. 10 bolt rear end including axle/brakes. (2) doors, rear spoiler and Z28 gauge package. Not bad for free, I thought. The bad news was that a few hours had passed and I had no word from my wife. By 4 p.m. I started getting worried. Is she really gone until the Camaro leaves the house? I was on edge until my wife's van pulled into the driveway just before 5 p.m.
She looked happier now and she had a present for me. 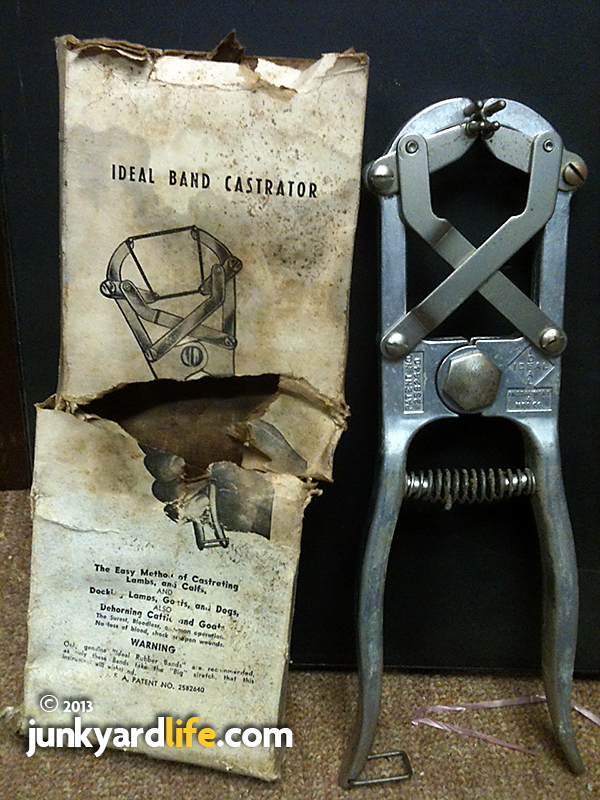 My wife handed me a tattered white box with the label "Castrator." "You’ve got one week to get rid of the Camaro," she said, smiling. The gift was a livestock castrator purchased at a yard sale that my wife and her dad had found during her day-long adventure away from me and the Camaro. "No problem," I told her. "The Camaro will be gone by next Sunday. Camaro or castration? Which one would you choose? The Camaro was gone, well, mostly. All the parts mentioned above were removed and temporarily stored out of my wife's sight. Unfortunately, I had to commit a sin against America and Chevrolet when I cut the rust-free, Frankenstein Camaro body in half and hauled it to the scrap yard. I still feel sick about that one. It had to be done. Thirty years from now I can tell my Camaro story and I will sound like the gray beards who scrapped-out a bunch of 1932 Ford B-model shells and Hemi Cudas. I can hear the groaning and moaning in my head. On a positive note, I sold most of the Camaro parts within a month. But, for much less than I estimated. I wish I had saved the entire Z28 carcass and built it back into a daily driver. My wife is glad I didn’t. 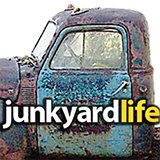 Do you have a Junkyard Life story to share? Note: To this day, I can still find pieces of that Camaro's tempered glass in my driveway.